Our 83rd governor was the third in a line of John Peter Richardsons. He was preceded by his grandfather, John Peter Richardson, Esq, and his father – also a governor – John Peter Richardson. Neither son nor father used a suffix during their lifetimes, nor is a suffix recorded on either of their headstones. Suffixes are, in fact, not mandatory, though they are often used for the purpose of genealogical clarity. In that vein, we also will refer to South Carolina's second "Governor John Peter Richardson" as John Peter Richardson, III. Richardson graduated from South Carolina College (now the University of South Carolina) in 1849. Thomas G. Clemson's will, which left funds for the creation of a new college, was validated by the Federal Circuit Court of Appeals. Richardson served on the staff of Confederate General James Cantey from 1862-1865. Winthrop's Richardson Hall was named for Governor John Peter Richardson, III. Elmswood Plantation was Richardson's home. 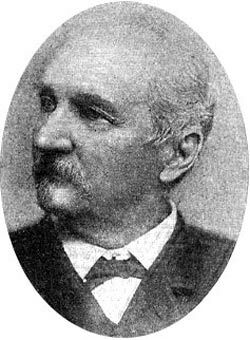 On November 2, 1886, Richardson elected without opposition. He received 33,114 votes. On November 6, 1888, Governor Richardson was reelected without opposition. He received 58,730 votes.